When you take the first steps in searching for an assisted living community for a loved one, it can be an emotional and stressful experience. There are so many decisions to be made; from which locations provide the services your loved one needs, to what is in our budget, and how comfortable your loved one is with the transitioning process from their current home to their new one. All these feelings are healthy, and you are not alone. The best place to start is at the very beginning. 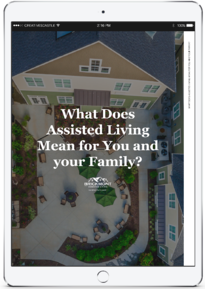 What types of support does assisted living provide?